Growing Social Media Networks: Just Add Water? While preparing a ‘Social Media 101’ presentation, I started to think about an analogy for growing a network to planting a seed, and it fit really well. A well cultivated social media network can be like a crop of plants that ‘do the work’ for the farmer. Remember, however, that the success relies on the farmer’s knowledge and hard work. If properly cultivated, however, social media networks can be a very powerful way to engage your customers and worth more than any type of broadcast advertising you can pay for. Personally growing social networks has taught us some things that may help you, so here are our guidelines for success. Know your seed. We all know that plants grow in certain conditions, and this is the first consideration to be made. Choice of the soil, sunlight, and season are all important and based on the type of seed you’re planting. For social networks, you must consider what types people you’d like to help you grow your network. What do they like, need, and how can you reach them? Knowing your ‘seed’ means doing market research, which may include interviews/polls and some legwork to understand how your potential participants are currently interacting online. Also, make sure that you’re not growing the same crop as your neighbor–a ‘me too’ network is not likely to have as much success. Plan your crop. 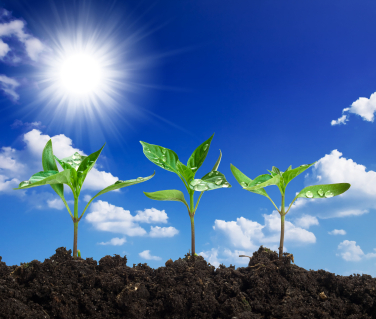 Based on the seed, you must come up with an overall plan to grow it. For social networks, this means finding a theme which will resonate with the people you are trying to engage. For example, with the San Diego Biotechnology Network (SDBN), our theme is increasing communication among local scientists. Our members care about the cause, and they get something out of participating (e.g. networking), so they are happy to be a part. You should consider that whatever your personal/business passion or goals are, the theme of your network must be something that will resonate with others. For example, if you sell protein purification products, chances are you’ll have a hard time using them as a theme to motivate (few products have a following like the iPhone). However, you may be able to choose something broader, such as ‘advancing protein purification methods,’ as a theme. Also, make sure that your theme aligns with your objectives–a farmer grows a crop that will help him feed his family, you need to do the same. Otherwise, you’ll find that you don’t have time to maintain it. A good network benefits everyone, and if you make your identity and objectives clear, you have a good chance of succeeding. Find the right plot and soil. Also based on your research of the ‘seed’ you must pick a venue for growing your network based on their interests and habits. Are your participants young? Facebook is probably a good bet. Professionals? Use LinkedIn. Also consider that seeds may not germinate if the conditions are unfavorable or they don’t have the energy to break out of their shell. In a similar way, creating a network which requires too much effort to join (e.g., requiring a login) may not work well. Also consider that you must have a significant number of participants before a network is useful (the so-called network effect), so using a venue that already exists has its benefits. We started the SDBN on LinkedIn, but realized that Facebook may be accessible to some of our members, so we also have a page there. Thus, we ‘transplanted’ part of our network there (I could make these analogies all day ;). Fertilize. Like plants, your network participants must be given what they need to grow. Based on your research, this can be content, discussions, or anything else that will engage them and help them to connect with each other. A great book on this is Seth Godin’s Tribes which talks about several groups which have been brought together towards a common interest, or even company/product line (Apple), and how these groups were ‘fed.’ As with the theme of the network, you may need to think outside of your companies’ products in order to engender loyalty. We have a 90/10 rule that we abide by, which follows. If you provide your participants with useful resources not related to your products 90% of the time, they’ll gladly put up with a ‘plug’ for your products 10% of the time (similar to the way we include a call to action at the bottom of many of our blog posts here, but most of the post is designed to help you). Also, your products help your customers, and they will want to hear about them and give feedback to help you improve them as well. We’re all interested in getting better tools, so if you frame your ‘plugs’ correctly, you should be fine. Cultivate. Farmers need to make sure their crops are thriving, and make changes if they are not. In a similar way, you must monitor your network and its growth so that it thrives. If it is not growing, ask members what you can provide to motivate them to participate. Got someone spamming the group? Weed them out. You don’t have to look far to see social networks that have been abandoned because they have not been cultivated and have not grown. If done properly, however, your seedlings will mature and spread their seeds (are you tired of this metaphor yet?). Want to get started? Contact us for a free consultation, we’ll use our experience and existing life science networks to help you come up with a winning plan, er….crop.